Phoenix Plumbing & Heating Services - Central Heating Engineer, Plumber based in Aldershot, Hampshire. 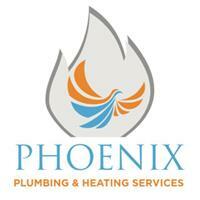 Phoenix Plumbing & Heating Service's aim to provide high quality workmanship. We have fully qualified gas safe engineers with over 13 years of experience. As much as we take great pride in our work, we also believe it is extremely important to build good customer relations. Thank you for taking the time to read my page and please call today for your free quotation.